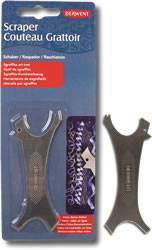 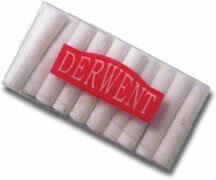 Products also available to compliment specific Derwent ranges. 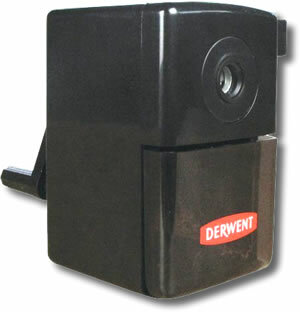 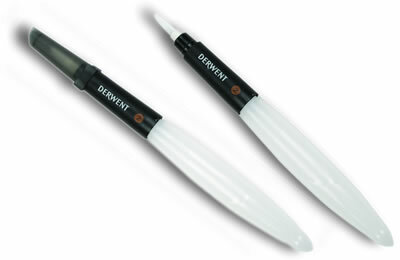 This great Scale Divider from Derwent enables you to accurately transform the scale of your image from 4:1 to 1:4. 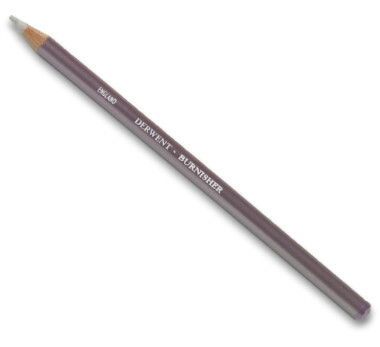 Perfect for getting perspective right. 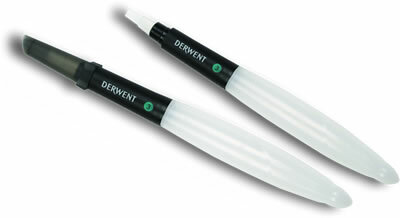 Derwent Blender Pencil is a soft colourless pencil made from the binder used for coloured pencils. 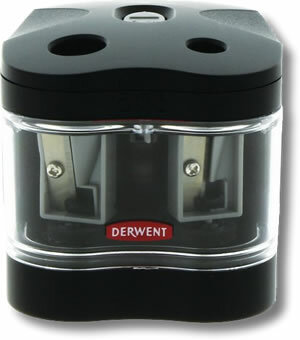 It allows you to blend two or more colours together to create a new colour. 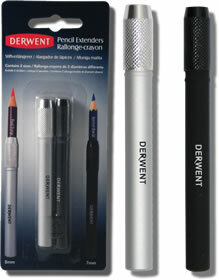 This value pack contains 2 Derwent Blender Pencls and 2 Derwent Burnisher Pencil as well as an eraser and a sharpener. 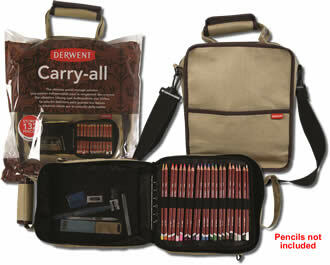 The Derwent Canvas Carry-All is called by Derwent the ultimate pencil storage solution! 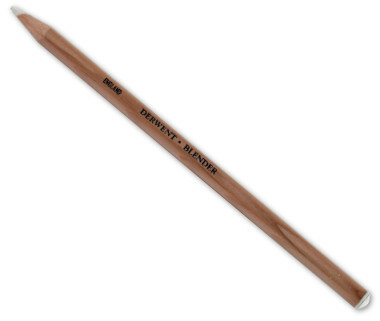 And here at pencils4artists we think it is pretty great. 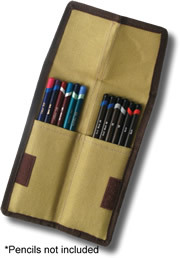 We have never seen a case this good designed just for pencils! 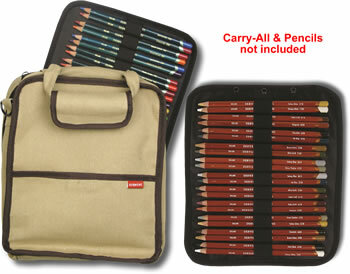 Expand the carrying capacity with these extra leaves that each hold a further 44 pencils. 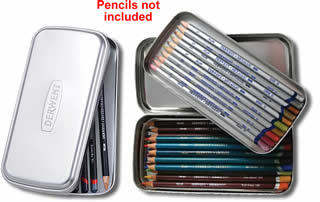 These nice Derwent tins hold 12 pencils and are a cost effective way to keep your pencils or to make up a gift for someone from different ranges. 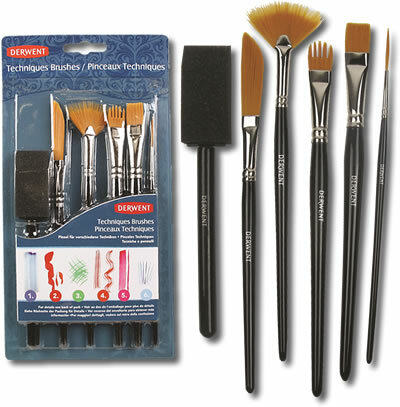 A great little set from Derwent of 5 different brushes, all of which can be used to achieve all sorts of special effects. 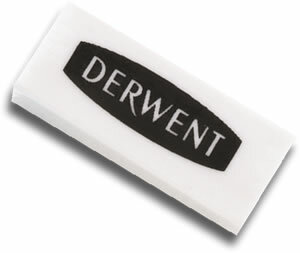 If you want to go out into the field but only want to carry a few of your favourite pencils then Derwent’s new Pocket wrap is perfect for you. 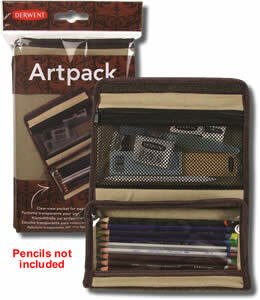 Small enough to tuck into a pocket it holds up to 12 pencils. 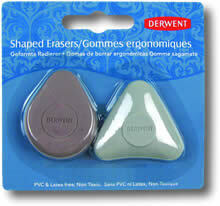 Excellent for blending pastel or charcoal with minimal mess! 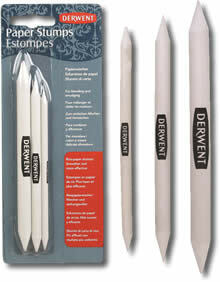 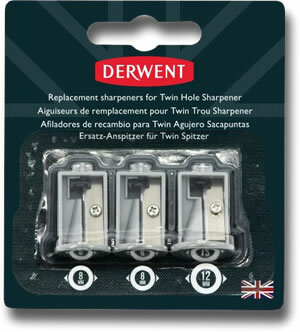 A set of 3 mixed size paper stumps from Derwent. 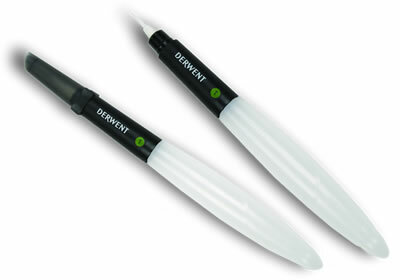 Made from rice paper they are smoother and more effective than normal paper. 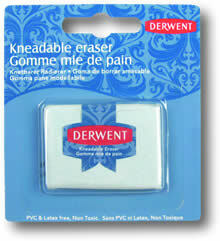 To sharpen or clean use a sandpaper block. 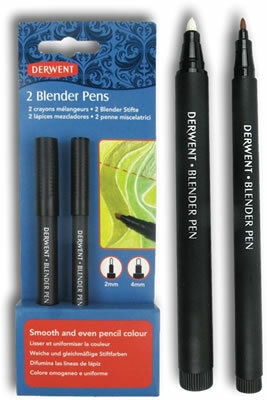 Designed specifically for use with pencils these pens will smooth and blend lines to create even colour laydown. 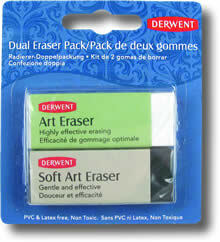 Effective with graphite or colour pencil. 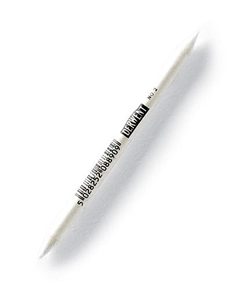 2 nib sizes - a fine nib for detail and a broader nib for larger areas. 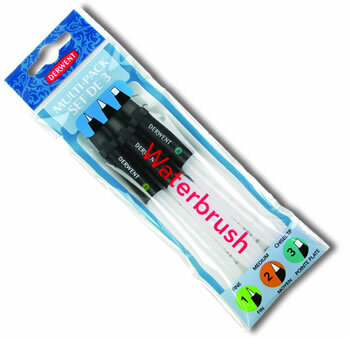 This is a brilliant water applicator for any watersoluble pencils or crayons. 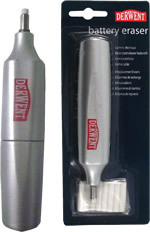 Spray a fine mist from a distance to dampen large areas or get really close to add water to detailed areas without the need for a brush. 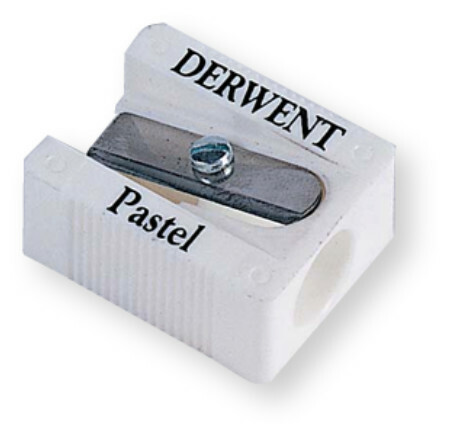 This ingeniously 'dog' shaped little scraper allows for several different effects with your Derwent Artbar, Caran D'Ache Neocolor II or Oil Pastel art. 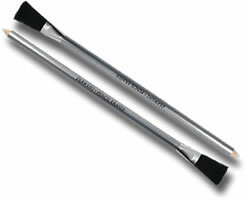 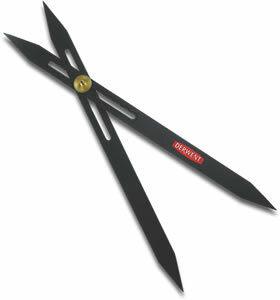 There are a variety of different scraping edges and points to use, including a fat edge and zig zag edge.